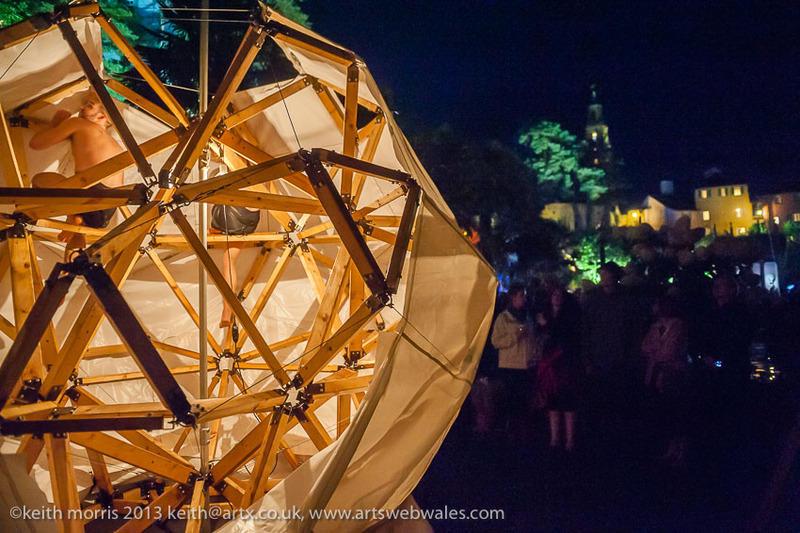 Funded by the Arts Council of Wales, ‘The Day We Realised The World Was An Oyster’ saw Chloe Loftus Dance collaborate with the Welsh School of Architecture in the design and build of a 4-metre geodesic dome for the set for this spectacular performance. The show toured the UK to critical acclaim and was nominated for a Theatre Critics of Wales Award for Best Small Scale Dance Production, 2013. Here’s a short teaser of the piece. This design is incredibly unique! If you’re inspired with an idea for a project that could incorporate the structure do please get in touch with Chloe. It would be great to collaborate, reinvent and bring the dome back to life!